Bay to Bay Roofing are specialists in installing metal roofs in Tampa Bay. We design and install metal roofs that are durable, beautiful, and offer lifetime protection. 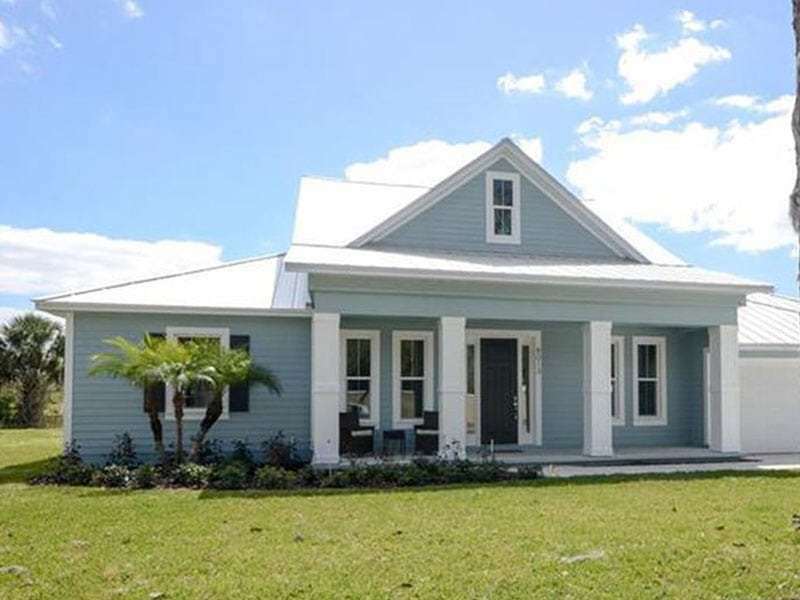 We install top quality,beautiful metal roofs as well as repair existing metal roofs for both residential and businesses in the Tampa Bay area. Metal Roofs are Durable and Strong. There is no doubt that here in Florida, especially during hurricane season, you want a strong durable roof covering on your home that can withstand very strong winds. Metal roofing systems have passed wind and uplift tests that are rigorously demanding, testing roofing materials simulating wind speeds over 150 miles per hour. Because metal roofing is a premium home product, you can expect your new roof to cost roughly two to three times what an asphalt shingle roof costs. However, a metal roof is comparable in price to tile roofing or cedar shake roofing. If you currently have a slate roof, you can expect your metal roof to cost less. No matter what kind of metal roofing style you choose, you’ll never have to worry about your roof again. Most come with a true 30 to 50 year warranty. Plus, your new metal roof will add to the resale value of your home, save you money on your energy bills, and give you piece of mind that you’ll likely never have to re-roof again. How Much Longer Does a Metal Roof Last Vs.the more Common Asphalt or Wood Shingle? You can expect a metal roof to last at least 2 to 3 times longer than a regular roof. In general terms, count on a metal roof lasting 40 to 60 years and beyond. To put it in context, the average life span of an asphalt roof is 12 to 20 years. That lifespan can be shorter depending on the pitch of your roof and the climate in your area. Made of oil impregnated paper or fiberglass, asphalt begins to deteriorate as soon as you expose it to normal weather. A metal roof, however, will never decompose. Other roofing materials like wood shingle, shake and tile have varying degrees of weather-related problems that lead to breakdown. Wood shingle and shake roofs often need replacement before twenty years. All of the above roofing materials are well-outlasted by metal roofing, which retains its good looks and durability decade after decade after decade.